Cardiff’s very own community winter market is inviting shoppers to prepare for Christmas as part of a special day to promote small businesses. 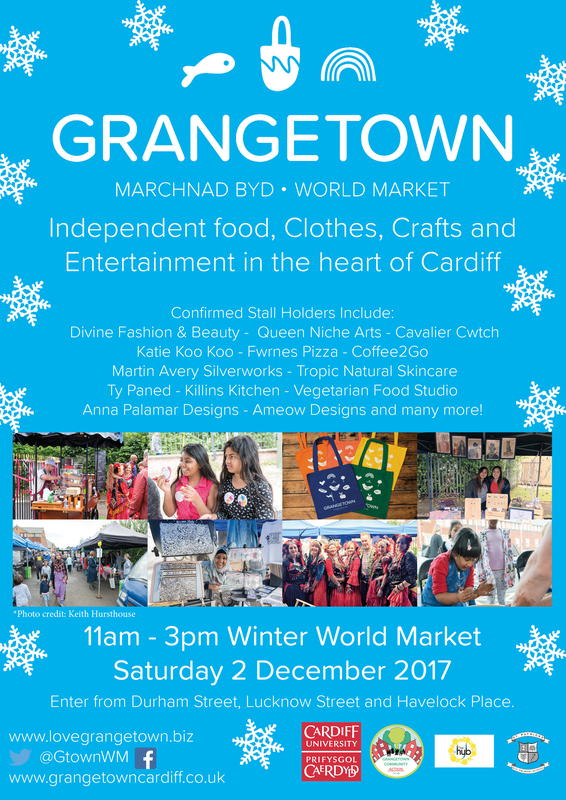 Grangetown World Market – organised by Cardiff University’s Community Gateway project and Grangetown Community Action – takes place on Saturday 2 December. 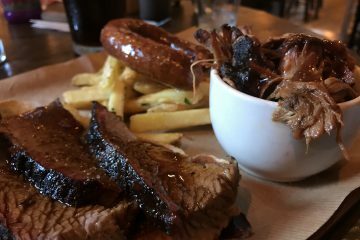 The date is also designated as Small Business Saturday, a UK grassroots campaign designed to encourage consumers around the UK to ‘shop local’ in their communities. The market will be located at St Patrick’s RC Primary School car park, between Havelock Street and Lucknow Street, from 11:00 to 15:00. Christmas shoppers will be able to browse and buy independent clothes and crafts, alongside food & drink stalls and entertainment. 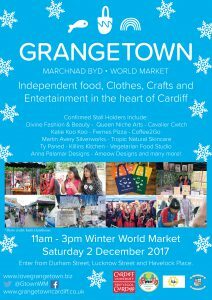 Keep an eye on the Grangetown World Market Twitter account @GtownWM to stay up to date with all the latest news about what’s happening. It follows the success of the first Grangetown World Market in July, also organised by Community Gateway and Grangetown Community Action. The first market featured more than 20 local volunteers, 11 student volunteers and three Cardiff University staff volunteers. The initiative is supported by Community Gateway, which is working hand-in-hand with residents in Grangetown to make the area an even better place to live. 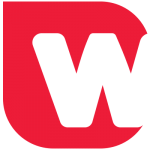 Community Gateway is one of Cardiff University’s flagship engagement projects, otherwise known as the Transforming Communities programme, which works with communities in Cardiff, Wales and beyond in areas including health, education and wellbeing.